Many fitness enthusiasts and bodybuilders fail to understand the importance of amino acids. It is common knowledge that in taking the right amount of protein is essential for muscle growth. However, the quality of protein totally relies on the balance of the amino acid composition. These are the building molecules of protein. They are actually the building blocks of protein. There are in total 23 different amino acids, which are divided in two groups: The essential and the non-essential. Essential are the ones that must be in taken from nutrition and non-essential the ones that can be produced from the organism itself. The nine essentials are: Histidine, Isoleucine, Leucine, Lysine Methionine, Phenylalanine, Tryptophan, Valine, Glycine and the eleven non-essential: Alanine, Arginine, Aspartic Acid, Cysteine, Cystine, Glutamic Acid Glutamine, Threonine, Proline, Serine, Tyrosine. Now, let us see how they actually function inside our body during the exercise procedure. Right after workout is the time when your body needs the nutrients the most in order to recover and trigger regeneration of new muscle tissue. If you choose to eat a protein meal directly after training this will have minimum effect on your muscle-building process. The reason is that protein will be metabolized and broken down to amino acids at least a couple of hours later. The problem is that you need to have those valuable amino acids inside your blood stream directly after workout. To avoid any misunderstanding, we have to point out that protein meals during the day are most important for any hard-working bodybuilder in order to keep a constant protein stream to the muscles. So, the question is what to take directly after the gym? The answer is a quality Branched Amino Acids Chain supplement or just BCAAs. BCAAs contain all the essential amino acids and some of the non-essential and hit the muscle cells inside a few minutes after consumption. 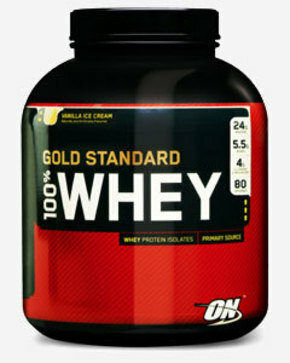 Many believe that Whey Protein shakes will have the same results. Although Whey Protein supplements are most important, they cannot fully replace the BCAAs. The reason is that although Whey and in general, all protein shakes are easy digestible they are not able to provide amino acids to the body as fast as BCAAs do. As a conclusion we might say that BCAAs supplements in addition to your protein shake and your daily bodybuilding meal plan are necessary to achieve your goals in the gym.